Holidays are wonderful platforms for special events. That’s what we at Image Marketing Consultants recommend to our clients. For example, for Halloween, pet stores might sponsor costume parties for cats and dogs and for Christmas family restaurants could provide children chats with Santa. Those create good feeling about your enterprise, enhance the brand, can attract new business, and give the media a fun reason to cover you. Yet staging a special event represents an investment of time and money. The first step in succeeding is to have people attend. Here are 3 tips from Image Marketing Consultants. Blend classic with novel. 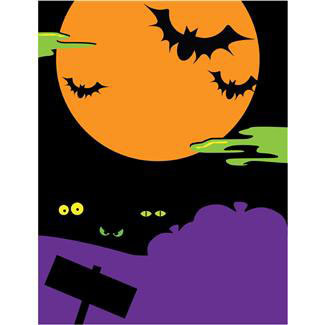 Everyone loves the ghoulish themes associated with Halloween. But what pulls them to your event and not the one two businesses over is the fresh twist. You could have an expert on the paranormal present a slide show on the history of Halloween. Provide incentives. Often consumers need that extra push to participate. Here you can partner with another business, creating publicity for both of you. For example, everyone who shows up is eligible for a drawing for a complimentary yoga lesson with the spa down the road. Have those from that business participate in your event. Promote. If the event is highly visual, you might be able to get the attention of the media. But even if it isn’t, you can leverage your own social media to create excitement. That could include Facebook, tweets, blogging, videos on YouTube, email blasts, podcasting, and webinars. When the event is over some of that material can be sliced and diced and repurposed for other uses. In creating buzz before, during, and after the special event, if you’re partnering, make the promotions a joint effort. That both can increase the impact and stretch both budgets. Kate Sirignano, founder of Image Marketing Consultants, provides complimentary consultations for Special Events, Partnerships, Social Media, Advertising, Public Relations, and Social Media kate@imagemarketingconsultants.com, 203-404-4868.